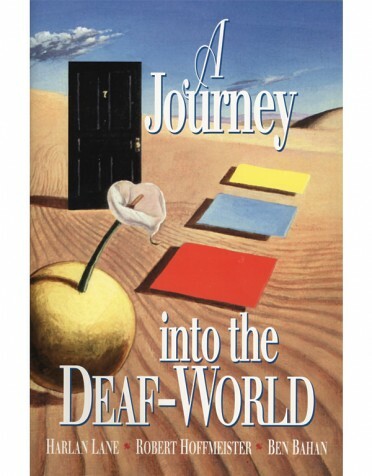 Cultural aspects of the Deaf world are illuminated through this classic collection of anecdotes updated to include new stories about the foibles of the latest communication technologies. 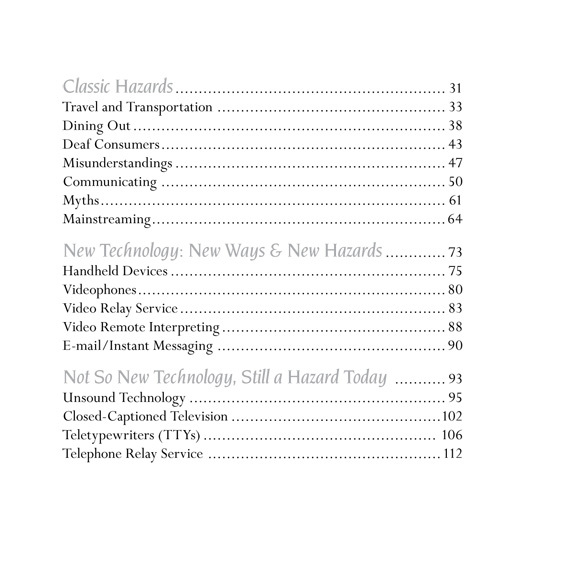 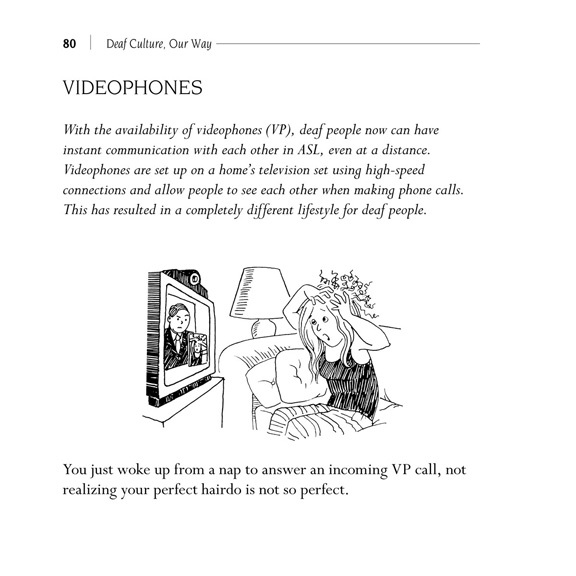 Anecdotes regarding VRS, pagers, videophones, and email/Instant messaging abound in this new edition. 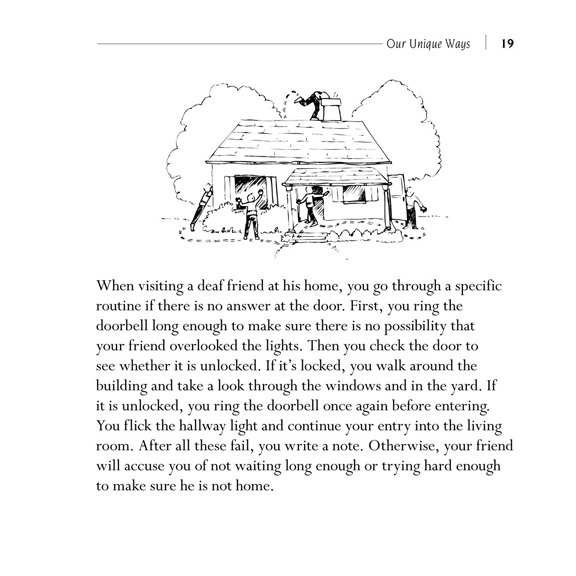 Using humorous stories with illustrations, Deaf culture is brought to life through personal experiences and practical day-to-day information. 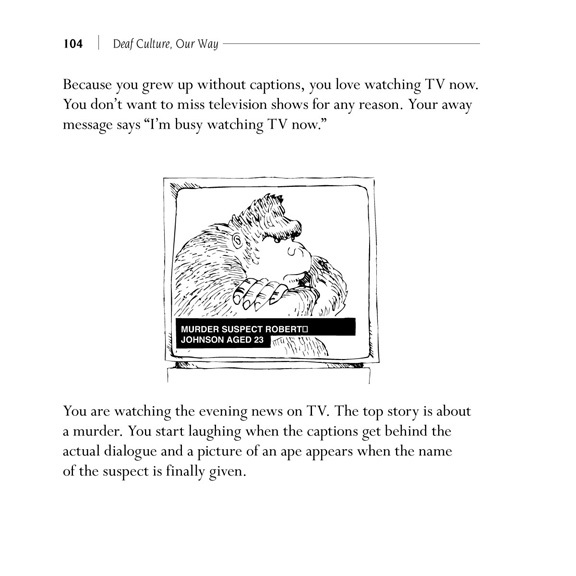 Everyone will enjoy reading these stories! 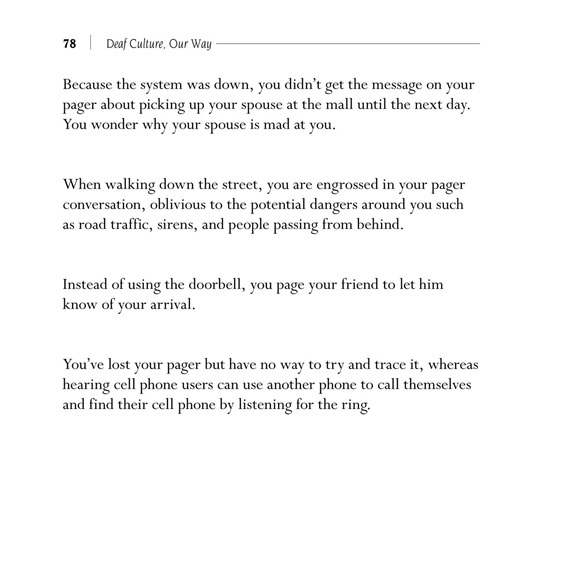 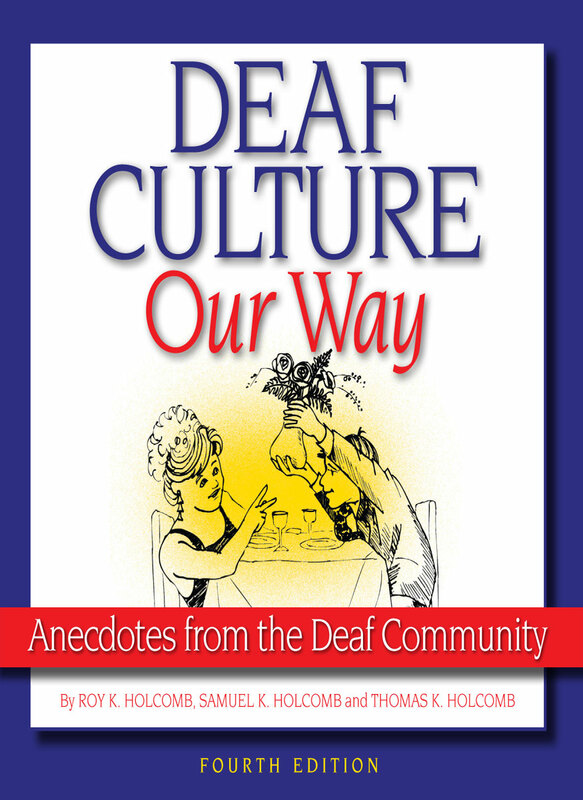 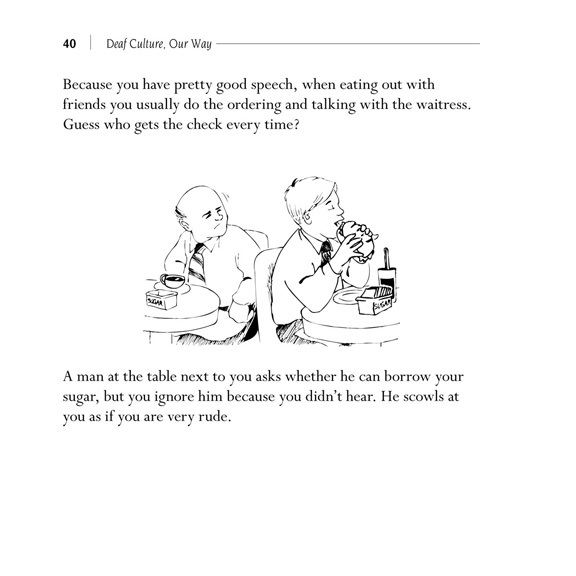 Deaf Culture, Our Way provides teachers with classroom material that can be used as a springboard for discussions about Deaf culture. 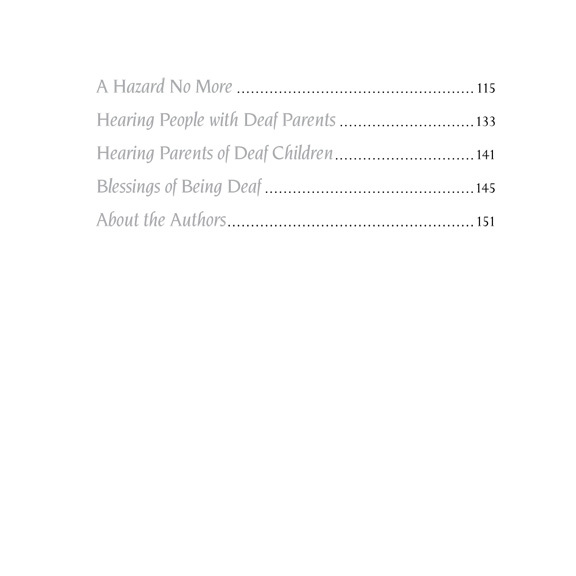 It is excellent supplemental reading for Deaf Studies, ASL, interpreting classes, as well as English classes for Deaf students. 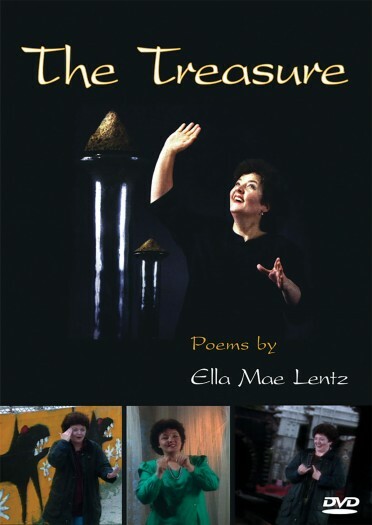 Now available as an eBook! 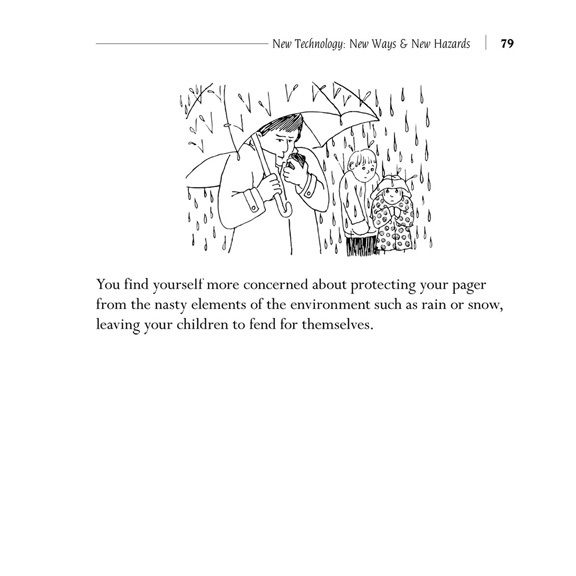 Click below for your preferred format!